In 1986, the Pulitzer Prize–winning, bowtie-wearing Stanford historian Carl Degler delivered something other than the usual pipe-smoking, scotch-on-the-rocks, after-dinner disquisition that had plagued the evening program of the annual meeting of the American Historical Association for nearly all of its centurylong history. Instead, Degler, a gentle and quietly heroic man, accused his colleagues of nothing short of dereliction of duty: appalled by nationalism, they had abandoned the study of the nation. Read the whole thing, and the other seven essays in the “New Nationalism” series in the March/April issue. Watching the opening ceremonies of a Toronto Maple Leafs game last night reminded me of something that might end up being Prime Minister Justin Trudeau’s most lasting legacy: a slight change in the lyrics of the Canadian national anthem to make it less sexist. The second line used to be “True patriot love in all thy sons command”; as of February of this year it is “True patriot love in all of us command.” I don’t have anything against this change on principle, although the new version is less poetic and will take some getting used to. The version sung by Roger Doucet prior to Montreal Canadiens’ games featured “We stand on guard for rights and liberty” as the penultimate line. We would sometimes sing this at school to show what great hockey fans we were. The version unveiled in 1980 goes like this. Changes are boldfaced. This version is better insofar as it has fewer redundancies, but by introducing a reference to “God,” it guaranteed resentment in certain quarters. And although they’ve dropped “all thy sons,” we still have the word “native,” which is now claimed as exclusive property by Canada’s First Nations people – and is alienating to immigrants anyway. So the national anthem is still slightly dodgy. Still, though – “True patriot love“! “With glowing hearts“! “True north strong and free“! “Stand on guard for thee“! These expressions have entered the Canadian vernacular and echo down the years. I wipe away a tear just contemplating them. But there is a further detail that needs to be mentioned. As you may be aware, Canada is officially bilingual, with a full quarter of its population speaking French as its native tongue. This is the Fundamental Divide in Canadian politics and society. The original lyrics to “O Canada” were composed in French, for a Francophone holiday – la fête de la Saint-Jean-Baptiste – in 1880. English lyrics were published in 1906, and the song eventually became the de facto Canadian national anthem (I guess the centennial of the song in 1980 prompted the government to make it official). So it turns out that, like the beaver and the maple leaf, the national anthem was a Francophone thing that the Anglos simply appropriated, forcing the Québécois to find substitutes (the fleur de lys and “Gens du pays” come to mind). 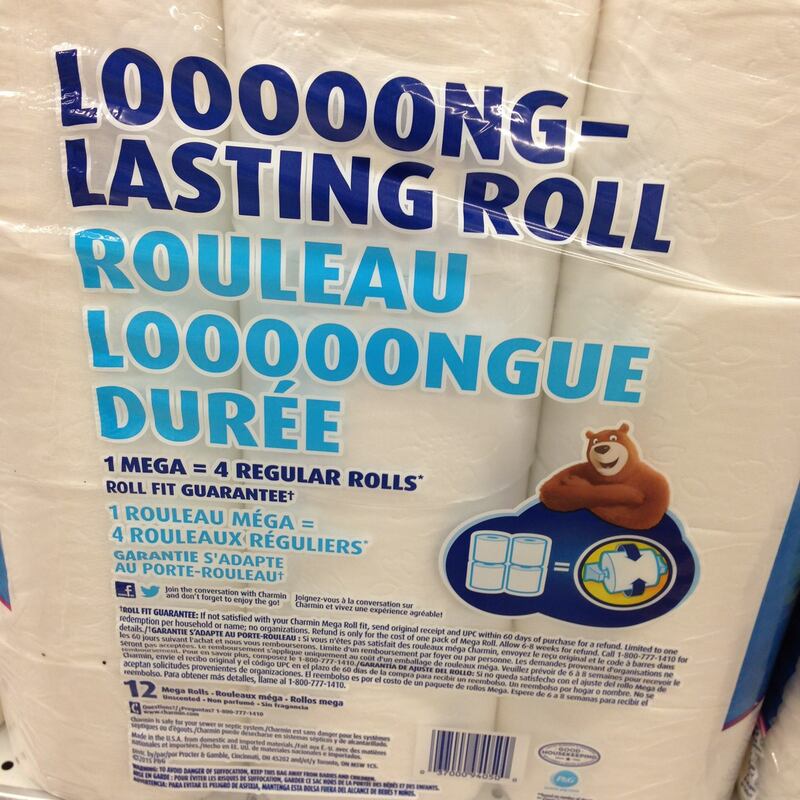 These lyrics really illustrate the song’s Francophone origin. You can see the Catholic (cross, faith) and ethnic-nationalist (ancestors, hearths) content in it – whereas the English is a little more deist and geographical. But I do think that national symbols (anthems, flags, etc.) should actually be saved for when national teams play other national teams, and shouldn’t appear before mere professional games. • On my transatlantic flight to Shannon airport I sat next to a charming young woman from County Donegal who was returning from a medical research conference in the United States and who is about to defend her dissertation at the University of Galway. Donegal contains one of the Gaeltacht areas of Ireland although she was not a native speaker of Irish (she was Xhosa, in fact), she did her duty and learned the language in school. The trouble, she told me, is that each of the three west coast Gaeltacht areas (Ulster, Connacht, and Munster) speak a different dialect of Irish, and they’re all different enough to cause problems. So when you go to take your final exam, there’s no guarantee that the person examining you will be speaking the same dialect that you’ve studied! • Our first stop on the tour was the Dingle Peninsula, a Gaeltacht area (and home of the Munster dialect). There were plenty of signs in the language although I think I overheard it being spoken exactly once. Our guide told us that many high school students come during the summers and stay for two weeks in an Irish-speaking home, on a government-sponsored program to help promote the language. On a coach tour of the peninsula we stopped at St. Caitlín’s (i.e., Catherine’s) Church in the village of Ventry, which was distinguished by being the resting place of its longtime priest Pádraig Ó Fiannachta, who died in 2016 and who is responsible for translating the Bible into Irish. According to our guide, he was the first person ever to accomplish this feat. I thought, surely not – surely someone translated it before? Turns out that there have been previous translations, but Ó Fiannachta’s was the first Roman Catholic one (prior to Vatican II, of course, a Latin Bible was all that a good Catholic really needed). 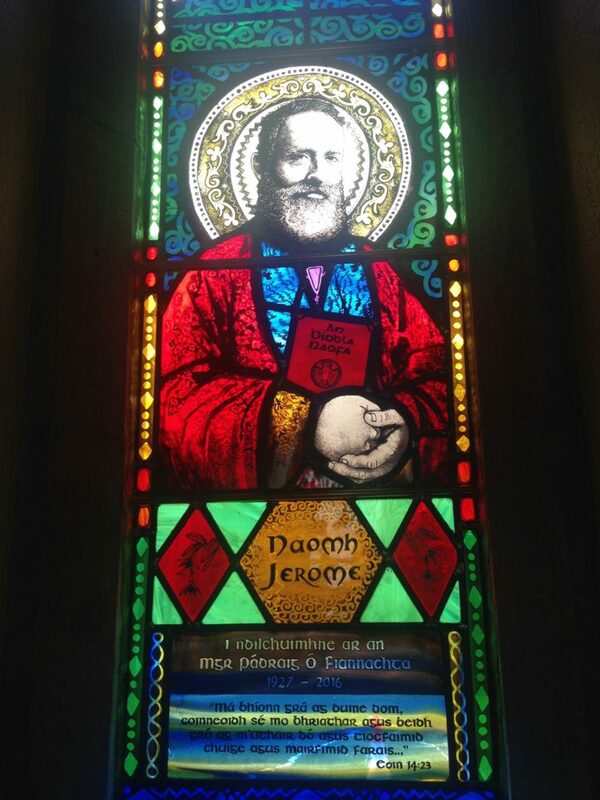 A stained glass window in the church commemorates Monsignor ó Fiannachta and specifically compares him to St. Jerome, who had originally translated the Bible into Latin in the fifth century. Note how the other place names are given: Irish version first, in Title Case and italics, and English version second, in ALL CAPS and roman. This convention is a good one: it produces a clear distinction between the versions and probably cuts down on confusion, and hearkens back to the time when Irish required its own font. 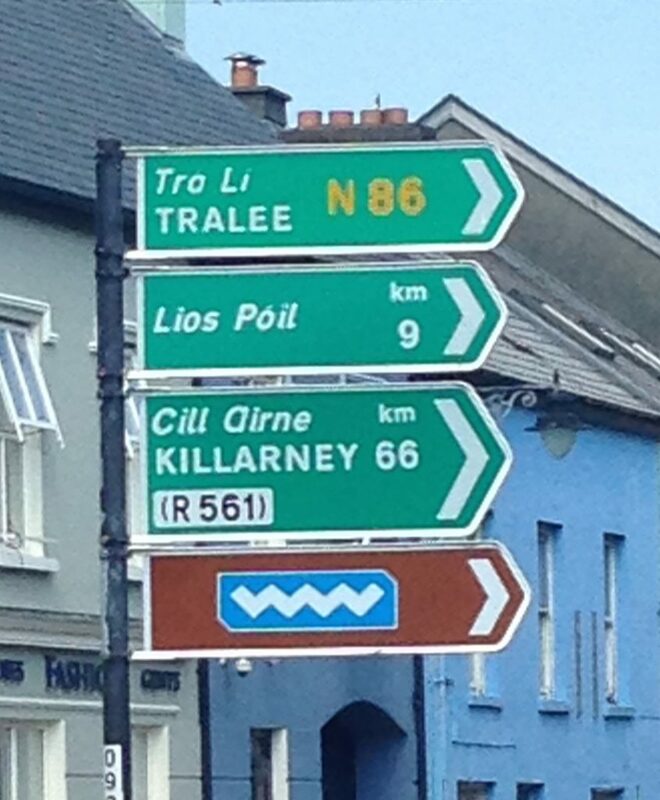 • But note that the town of Dingle, which the Irish minister for Community, Rural, and Gaeltacht Affairs ordered in 2005 be known only by the Irish version of its name (“An Daingean”) held a plebiscite the following year to reverse this decision, and overwhelmingly voted to return to the bilingual place name dispensation. As one man stated: “People feel they are being bullied. They have lived with ‘Dingle’ all their lives.” Methinks tourism branding might have had something to do with it as well. If the place has been known and advertised as one thing, why mess with it? Not to mention that there already is a “Daingean” in Ireland, the seat of Co. Offaly. Apparently Dubhlinn was the Viking settlement, and Áth Cliath the native Irish one; one name stuck in English, and the other in Irish. History is full of these sorts of nominal weirdnesses. 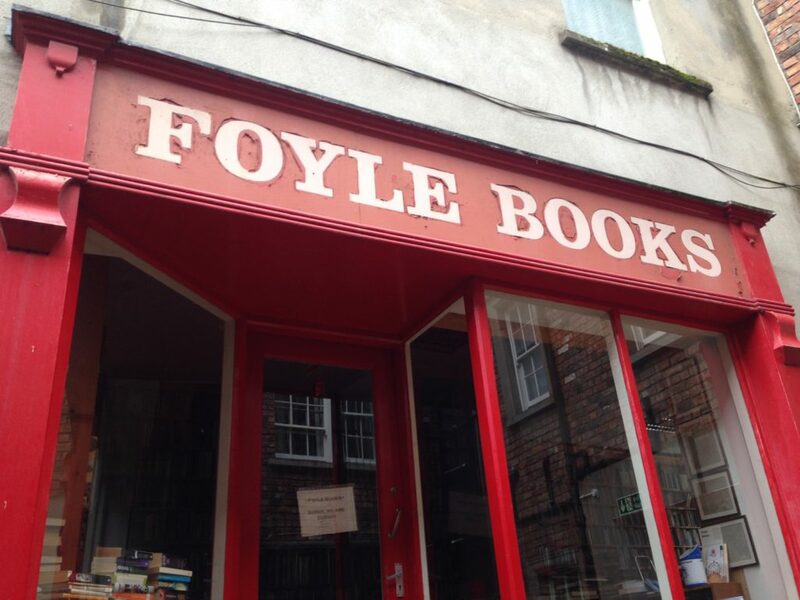 • But for a real naming dispute, you have to travel to the North, where “Are you Derry or Londonderry?” is a question one can ask in that particular city, by means of inquiring which “community” one belongs to. * That is, the nationalists prefer Derry, while the unionists Londonderry. Note that this is a dispute in English: the Irish equivalent of Derry is Doire, and presumably you could call it Londaindoire in Irish if you wanted to, although I highly doubt anyone ever does. According to Wikipedia, it wasn’t that big a deal prior to the advent of the Troubles (viz. the “Apprentice Boys of Derry“), at which time it became a shibboleth. I saw signs in the Republic reading “Doire DERRY” in the prescribed typography noted above, and I actually saw a “Londonderry” sign in the North, that is, some nationalists had gotten to it and effaced the offending prefix. Lunnonderry, kent by monie fowk as Derry, is the seicont mukkilest ceitie in Northren Ireland (eftir Belfast) an the fowert-mukkilest ceitie on the iland o Ireland. In the 2001 Census the ceitie proper haed 83,652 indwallers. The ceitie ligs in the nor’wast o Northren Ireland naur the mairch wi Coonty Dunnygal, whilk is pairt o the Republic o Ireland. The ceitie is naur the mooth o Loch Foyle an kivers baith banks o the River Foyle. The auld wawd ceitie o Derry is on the wast bank o the River Foyle. The wast bank is aften kent as “Ceitiesyd” whyls the aest bank is aften kent as “Wattirsyd”. In other words, it is English, with its speakers’ accent rendered phonetically, and certain dialect words that you might recognize (“kent,” “mukkilest”) if you have ever had to read Chaucer, Langland, or Sir Gawain and the Green Knight. But as a result of the Good Friday Agreement and the spirit of outreach that it has promoted, Irish has been finding more and more of a place in Northern Ireland. Almost two thousand years later we are still split, and pronouncing H two ways: “aitch”, which is posh and “right”; and “haitch”, which is not posh and thus “wrong”. The two variants used to mark the religious divide in Northern Ireland – aitch was Protestant, haitch was Catholic, and getting it wrong could be a dangerous business. Its programme included a talk by the leaders of ‘The Great Escape’, when 38 IRA prisoners broke out of a H-Block in Long Kesh in 1983. ** One slight problem with this is that “County Londonderry” doesn’t really exist anymore, except for ceremonial purposes. All across the UK, in the 1970s, local government was reorganized, producing bogus “counties” like “West Midlands,” “Tyne and Wear” or, in Northern Ireland, “Causeway Coast and Glens.” I respect the way that the Republic has not meddled with these historic subdivisions (even though they are a legacy of English imperialism!). I was reading a newspaper article on the abortion referendum and noted a map of the results: populous counties (most notably, Dublin) had been subdivided into smaller units, while sparsely populated counties had been amalgamated (e.g. Sligo and Leitrim, if I’m not misremembering). But note that the counties themselves retain their territorial integrity. Up the Republic! “Continuity and Change” is a historical cliché. If you’ve got a collection of essays on a particular topic, the default title for publication is “Continuity and Change [in time and place].” It’s not quite as bad as the classic student thesis for a compare-and-contrast paper (“there are many similarities and differences between [A and B]”), but it is an attempt to encompass every possible perspective on a particular topic, and consequently doesn’t say very much. But actually examining the whole question of continuity and change is an exceedingly complex exercise. To what extent do things change, and to what extent do they stay the same? To answer this question takes a great deal of research for any particular topic, and even then debates about it often seem to be divided between those who believe the glass is half empty, and those who believe the glass is half full. I think that historians are often biased towards “change” (just as Jack Hexter favored “splitters” over “lumpers”) – “change” being simply more interesting (and justifying the research!) than continuity. Some historians, though, largely associated with France’s Annales School, favor the study of long-term historical structures over events, which they likened to the waves on the top of the ocean. * So “continuity” does have some fans out there. And, of course, it depends on the topic. Some things change more quickly or obviously than others. For one topic I’m interested in, English nationhood, I favor “continuity.” This is a minority position in the academy. Under the influence of Marxism, nations were seen as bourgeois constructs, and even if academics weren’t Marxist themselves, they tended to see nationalism as a bad thing. Thus, there was an imperative to view them as invented in the nineteenth century, and then projected onto the past. Nations claim to be very old, but are in fact quite recent – or so the theory goes – and if they aren’t inevitable, then alternate political arrangements become more plausible. This view is not entirely wrong, but not entirely correct either, and certainly not for England. Even on the continent, would-be nation builders could not simply invent nations out of nothing – they had to select things that putative “nationals” already believed about themselves. quite apart from the opinions of its partisans, Christianity was different in kind from pagan religions of the ancient world, offering to everyone a personal relationship with the one true God and the promise of eternal salvation, and actively proselytized by missionaries. Syncretism is a fact of religious history, of course, and it is clear that Christianity did inherit certain practices from the pagan world in which it arose, such as the influence of one or more schools of Hellenistic philosophy or, starting in the fourth century, the use of candles, incense, altars, or clerical vestments in public worship. Such things are exceptional, however, and far more allegedly “pagan” practices arose, over time, within Christianity itself. If Christianity appears, at certain times and places, to have taken on characteristics of other religions, it is usually because Christianity, as a religion, must provide for certain strong and near-universal human desires. The desire for children is one such, and it is only natural that once Christians accepted that saints wielded intercessory power, they should begin to pray to them for children—the continuity here is in human nature, not in religion. Thus, I was interested to read a BBC News article: Fairy Tale Origins Thousands of Years Old, Researchers Say. Who is right? Tehrani and Da Silva, following Grimm? Or Lindow? Using techniques normally employed by biologists, academics studied links between stories from around the world and found some had prehistoric roots. They found some tales were older than the earliest literary records, with one dating back to the Bronze Age. The stories had been thought to date back to the 16th and 17th Centuries. Durham University anthropologist Dr Jamie Tehrani, said Jack and the Beanstalk was rooted in a group of stories classified as The Boy Who Stole Ogre’s Treasure, and could be traced back to when Eastern and Western Indo-European languages split more than 5,000 years ago. Analysis showed Beauty And The Beast and Rumpelstiltskin to be about 4,000 years old. And a folk tale called The Smith And The Devil, about a blacksmith selling his soul in a pact with the Devil in order to gain supernatural abilities, was estimated to go back 6,000 years to the Bronze Age. A blacksmith strikes a deal with a malevolent supernatural being, such as the Devil, Death or a genie. The blacksmith exchanges his soul for the power to weld any materials together. He then uses this power to stick the villain to an immovable object, such as a tree, to renege on his side of the bargain. This basic plot is stable throughout the Indo-European speaking world, from India to Scandinavia, according to the research. The study said this tale could be traced back to the Proto-Indo-European society when metallurgy likely existed and there was archaeological and genetic evidence of massive territorial expansions by nomadic tribes from the Pontic steppe (the northern shores of the Black Sea) between 5,000 and 6,000 years ago. However, John Lindow, a folklorist at the University of California, Berkeley, casts doubt on the theory in Science News, saying the Proto-Indo-European vocabulary for working with metal was limited and the word “smith” might not have existed. If true, that would mean the version of “The Smith and the Devil” used in the study may not be that old, he said. Dr Tehrani, who worked with folklorist Sara Graca Da Silva, from the New University of Lisbon, said: “We find it pretty remarkable these stories have survived without being written. In the 19th Century, authors the Brothers Grimm believed many of the fairy tales they popularised, including Red Riding Hood, Cinderella, Hansel and Gretel and Snow White, were rooted in a shared cultural history dating back to the birth of the Indo-European language family. Later thinkers challenged that view, saying some stories were much younger and had been passed into oral tradition, having first been written down by writers from the 16th and 17th Centuries. Dr Jamie Tehrani said: “We can come firmly down on the side of Wilhelm Grimm. The study, which was published in the Royal Society Open Science journal, employed phylogenetic methods to investigate the relationships between population histories and cultural phenomena, such as languages, marriage practices, political institutions, material culture and music. It also used a “tree” of Indo-European languages to trace the descent of shared tales to see how far they could be demonstrated to go back in time. Dr Tehrani explained: “We used a toolkit that we borrowed from evolutionary biology called phylogenetic comparative methods. This enables you to reconstruct the past in the absence of physical evidence. “We’ve excavated information about our story-telling history, using information that’s been preserved through the mechanism of inheritance, so in that sense they embody their own history. This looks promising. Rather than take (often superficial) similarities and offer these as conclusive proof of transmission, as Frazer did, the researchers seem to have offered further linguistic and genetic evidence as they reconstruct the past. * The French expression was longue durée (vs. histoire evenementielle). I was amused to discover the package below for sale in the local Publix. The Annales School lives! It was once the world’s largest known diamond, is worth a reported £100m and is currently part of Britain’s crown jewels. But India wants it back. Bollywood stars and businessmen have united to instruct lawyers to begin legal proceedings in London’s High Court to return the Koh-i-Noor diamond. The diamond was in the crown worn by the Queen Mother at the coronation of her husband King George VI in 1937 and again at Queen Elizabeth’s coronation in 1953. The group, which has called itself the “Mountain of Light” after the translation of the stone’s name, say that the 105-carat diamond was stolen from its true home in India and are demanding that the UK Government returns it. The stone is “one of the many artefacts taken from India under dubious circumstances”, according to David de Souza from the Indian leisure group Tito’s. Souza claims the British colonisation of India had stolen wealthand “destroyed the country’s psyche”. The jewel was given to the reigning Queen of the time by the last ruler of the Sikhs, Duleep Singh, after the British annexe of the Punjab. British Lawyers instructed by the “Mountain of Light” group to seek the stone’s return, said they would base their case on the Holocaust (Return of Cultural Objects) Act, which gives national institutions in the UK the power to return stolen art. Satish Jakhu, of Birmingham-based law firm Rubric Lois King, said they would make their claim under the common law doctrine of “trespass to goods”, arguing that the government had stolen the diamond. He added that they would be taking their case to the International Court of Justice. To say nothing of the destruction of the Indian iron industry, the Sepoy Mutiny, numerous famines, and the Amritsar Massacre! I think that spreading the Parthenon around acts as insurance against the loss of the whole thing in some disaster, which is why I think that Britain should keep the Elgin Marbles. This dynamic does not apply to the Koh-i-Noor, which I think should go back. Colossal gems are kind of naff anyway. Members of HIS 323 heard an interesting presentation this week on Irish sports. As you may be aware, the Gaelic Athletic Association was founded in 1884 as part of what has been termed the Gaelic Revival – the renewed interest in the Irish language and related aspects of indigenous Irish culture. The GAA’s task was to codify and promote the Irish sports of hurling and Gaelic football; it also governs camogie, handball, and rounders. Of these sports, hurling has the longest pedigree: it is played by Cú Chulainn in the Ulster Cycle, and was banned in 1367 by the Statutes of Kilkenny. One thing that did not come up: the distinctive Irish style of horseback riding, also mentioned in the Statues of Kilkenny and in Gerald of Wales’s History and Topography of Ireland (twelfth century). Horse racing is very popular in Ireland, but it seems that the GAA was uninterested in reviving the Irish riding style; Irish horses and jockeys compete in Britain and on the continent in the same manner as that of their opponents. The Gaelic Revival was an expression of a quite insular nationalism. Both the language and the sports were Our Thing, practiced in Ireland and maybe among the Irish diaspora, and nowhere else. That’s fine, but surely there are times when you want to compete on equal terms with other countries, thereby publicizing yourself, gaining the respect of others and even demonstrating your superiority? The GAA, however, had strict rules against its members playing cricket or soccer, the effete, non-contact sports of the enemy, rules which were only repealed in 1971! This seems counterproductive – what you want to do is be competitive in a sport that other people also play, like Brazil in soccer, New Zealand in rugby, Canada in hockey – or Ireland in horse racing! To this end the GAA should try proselytizing its sports more (or should have tried – it’s probably too late now). They certainly look like fun.